We believe the residents of Southwest Lancaster are closely connected to each other, celebrating the diversity of racial/ethnic backgrounds and sharing a sense of joint responsibility to care for one another. The Neighborhood Connections Committee was built to bring the already close SoWe community even closer. Addressing the need for more community events, improving residents’ access to services and jobs, as well as rebranding the neighborhood; this committee hopes to encourage a shared sense of pride and responsibility in not only caring for the neighborhood but each other as well. Establish LHOP as the Lead Entity for Coordinating Revitalization Initiatives. Develop a Series of Events to Connect Neighbors. Develop a Plan to Market the Neighborhood. Improve Access to Services for Neighborhood Residents. Improve Residents’ Access to Jobs. Establish a Neighborhood Hub with Offices for the Civic Organization & Programming Space. 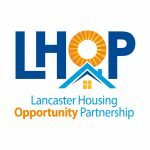 In partnership with the Boys and Girls Club of Lancaster a Community Connector has been assigned to serve and assist SoWe residents. Lori Pagan works with SoWe residents to connect them to resources offered in the community such as education, job training, employment, housing, healthcare, substance abuse, etc. If you are interested in learning what services are available to you and your family please contact Lori Pagan at O: 717.381.4723 C: 717.669.3633 today. CAP Navigators work with individuals and families to connect them with resources, such as safe housing, affordable child care, health care, transportation and much more. Their team of Navigators is dedicated to helping anyone trying to overcome life barriers and set clear goals to increase their long term stability. Connect with a CAP Navigator here. SoWe hosts and sponsors several neighborhood events in efforts to connect neighbors to each other and celebrate the neighborhood. The events include the SoWe Annual Block Party, National Night Out, Trick-Or-Treat at Culliton Park, and the Egg Hunt at Culliton Park. SoWe Block Liaisons are volunteers who serve as points of contacts for the residents on their block and for SoWe. The Liaison works to inform residents of programs and resources available to them. They also work to address residents’ concerns on their block. If you are interested in serving as a Block Liaison or learning more about the program contact Jake Thorsen at jthorsen@lhop.org or (717) 455-3626. The Lancaster Chamber is a business-focused organization dedicated to building a prosperous community by helping businesses excel and people thrive. The organization provides resources for individuals and businesses, opportunities and solutions, as well as helping to connect business professionals to one another through their programs such as its Business Success Hub. The Chamber’s job board is a great resource for local job opportunities. Red Rose Transit Authority (RRTA) offers public transportation to Lancaster City and County. Seniors ride the public transit system free with a PA Senior Citizen Transit ID Card. For information about how to ride, schedules, and fares click here. In addition to the public bus system, RRTA operates Red Rose Access. Red Rose Access is a shared-ride program for senior citizens and persons with disabilities in Lancaster County. Services are available to individuals who are unable to use RRTA’s fixed-route bus system. RRTA’s Access to Jobs program can help you with your transportation needs by enabling customers to travel to and from work at times when the bus is not operating. For more information on this important service click here. PA Commute is a free service that helps individuals find and organize carpools to work. Find members who live and work near you to organize a shared ride to work. Emergency rides home from work are also available through the service. Uber and Lyft are available throughout Lancaster and offer an alternative means of transportation to and from work.